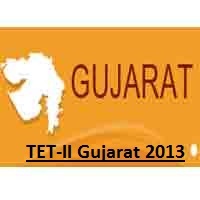 TET-II 2013, Gujarat Next Exam dates are declared - Here at Information Guru you can find all the information related to TET or Teacher Eligibility Test Exam in Gujarat. Gujarati Medium Examination Centre for TET-II Exam are All Gujarat's District Centre. * Note that BA/BRS (Psychology/Sociology/Philosophy/Home Science) is eligible for TET-II.